Still have no idea about how to copy and paste on a Mac? Read this method right away to get the answer. Go to download AnyTrans for downloading online videos on Mac from any video website, with various video formats. When we first use a Mac computer after using Windows for a long time, we would feel unfamiliar a lot, because there are so many differences between them. How to copy and paste on a Mac would be the first one we encounter, because we use these two operations so often, on Windows, we all know we can copy what we want with Ctrl + C, and paste with Ctrl + V, but how to copy and paste on a Mac? This is what this article will focus on in the following. Step 1. Highlight what you want to copy and paste. It is easy to do by dragging your cursor over what you decide to copy and paste. Step 2. Copy the highlighted content with ⌘ Command + C. ⌘ Command key is just below X key. Step 3. Paste the highlighted content with ⌘ Command + V.
We all know that many video websites only provides us to watch their videos online, but with no function of downloading our favorite videos offline on Mac, for example, YouTube. However there is a powerful tool - AnyTrans - to get the job done if you really want to download the videos. AnyTrans, with its fresh capability of video downloading, can download videos from a number of videos websites, including YouTube, Vine, Dailymotion, Instagram, BBC, Break, Metacafe, etc. 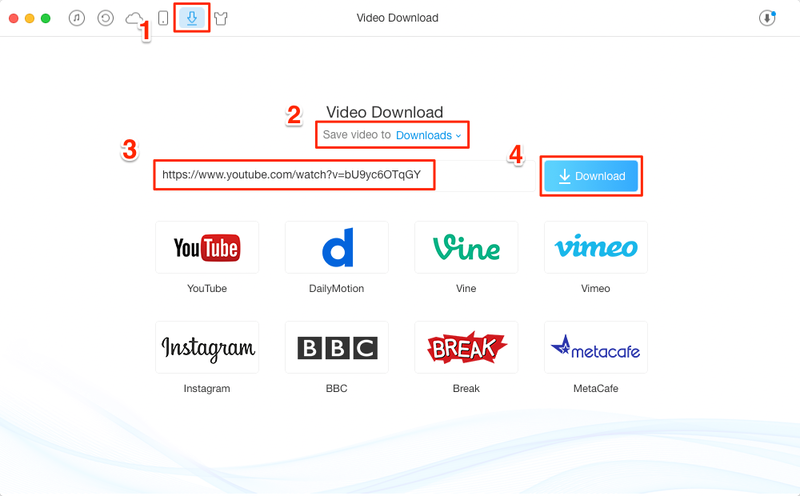 Besides you can not only save downloaded videos on Mac, but also to your iPhone and iPad. Download AnyTrans for free now. You can practice to copy and paste what you want on your Mac now with these three simple steps now. And if you also want to "copy and paste" some videos from websites, AnyTrans is the best choice. Try AnyTrans for free now.